WMCFC is an independent, non-profit agency operating in the Western Mountains of Maine to provide much needed child care services to the residents of our rural community. We run a tight ship and have a very modest budget. In order to keep our fee structure affordable to the families we serve, we currently seek to cover the gap between income and expenses by applying for grants and through our own fundraising efforts. WMCFC is not currently supported by Federal or State financial aid. We are very grateful to the many folks who have supported us in the past in order to get us to our current operational stage and to those who continue to support our vision today. Donations are tax-deductible, as WMCFC is a 501(3)(c) entity. 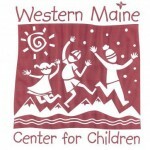 Your tax deductible donation may be sent directly to Western Maine Center for Children.